When the snow falls, it’s beautiful for about five minutes then I get the itch for the SUN! Powdery white snow is great and all, but I’m more about powdery white sand between my toes! 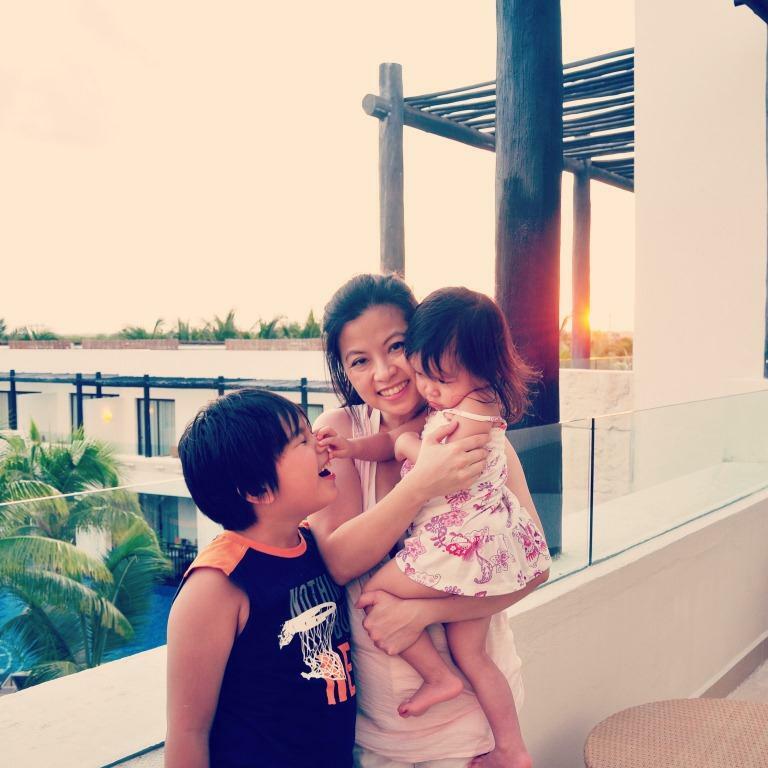 Beach vacays are the easiest thing for our little fam of four and I am always looking for the next fabulous place to escape too. 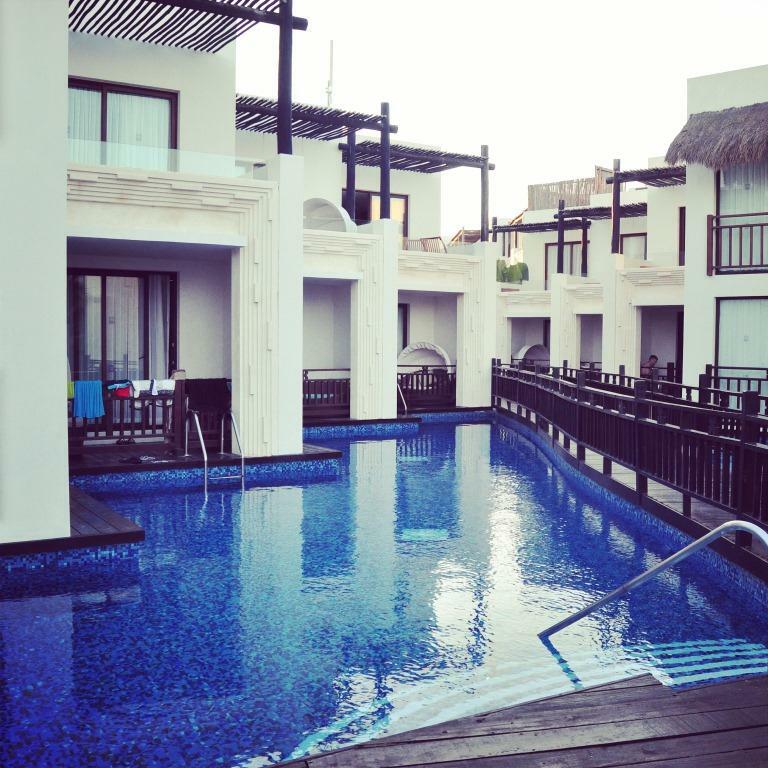 This year we headed to the beautiful Azul Beach resort. 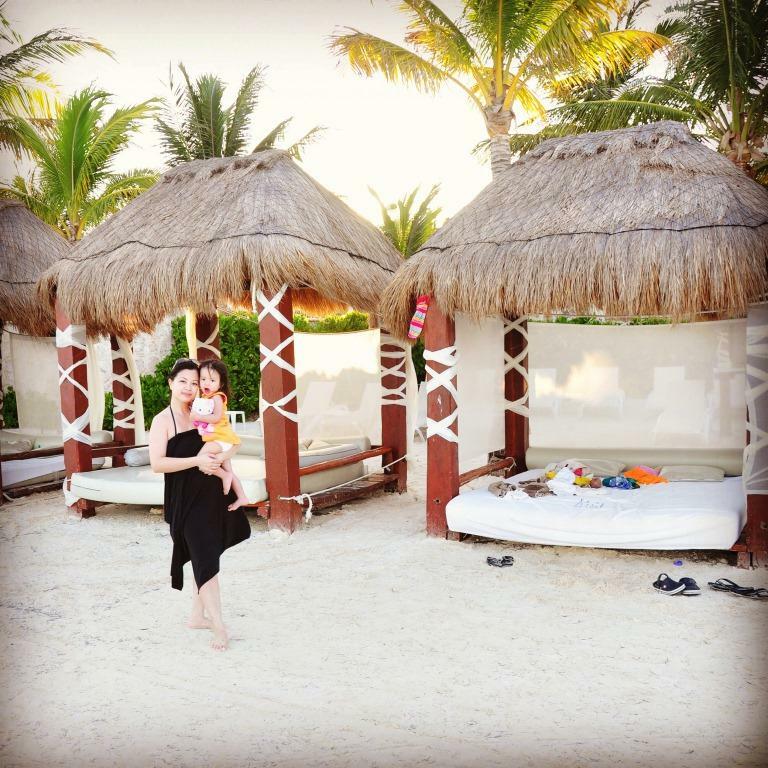 With 2 other sister resorts in Mexico we chose the Azul Beach due to its intimate size and how it caters to families with young kids. I’ve been loving boutique hotels and their premium service ever since our last vacay. We knew we made the right decision as soon as we checked-in…all while lounging on suspended daybeds and sipping on the welcome cocktails for us, frotty milkshakes for the kids. We stayed in a spacious family suite which had sliding doors to separate our rooms so our daughter, a toddler could sleep early and not be disturbed. It was like the kids had a mini suite of their very own. My son loved his pullout bed, which was big enough to fit even two more kids (no mom, we are not having any more kids)! We loved the modern amenities, especially the luxurious soaking tub for bubble bath fun or just relaxing mommy time. 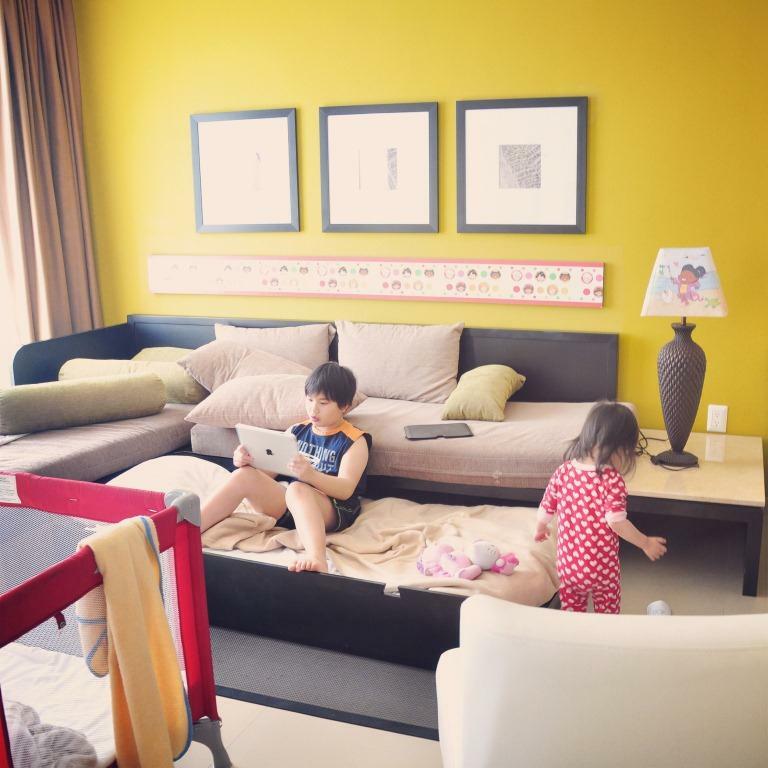 The suite also came with Fisher Price toys to keep our little one entertained. We actually live on the beach during our vacations. There’s something so therapeutic about watching the tide come in and listening to the lapping waves. The turquoise blue waters replenish us. To make the most of our beach living, we set up camp for the week in one of the resort’s beachfront canopied daybeds. That’s right: bed on the beach. How brilliant. It’s the ultimate for those who love to be pampered or just too lazy to move (which would perfectly qualify me). All I had to do was lie in bed all day, sometimes rolling over to watch my kids play in the sand…and perhaps sitting up to enjoy my countless pina coladas. We loved our personal beach butler (also brilliant) who ensured that we had unlimited supplies of drinks, snacks, fresh towels or beach toys. On our last day, he also prepared a wonderful beach picnic for our family to enjoy. Yay! More food without having to move a muscle! The food was definitely worth the effort to move though. Offering a Gourmet-Inclusive, the Azul Beach had an array of à la carte restaurants to suit all our cravings. We perhaps enjoyed the food a bit too much and brought home some extra souvenir pounds to show for it. 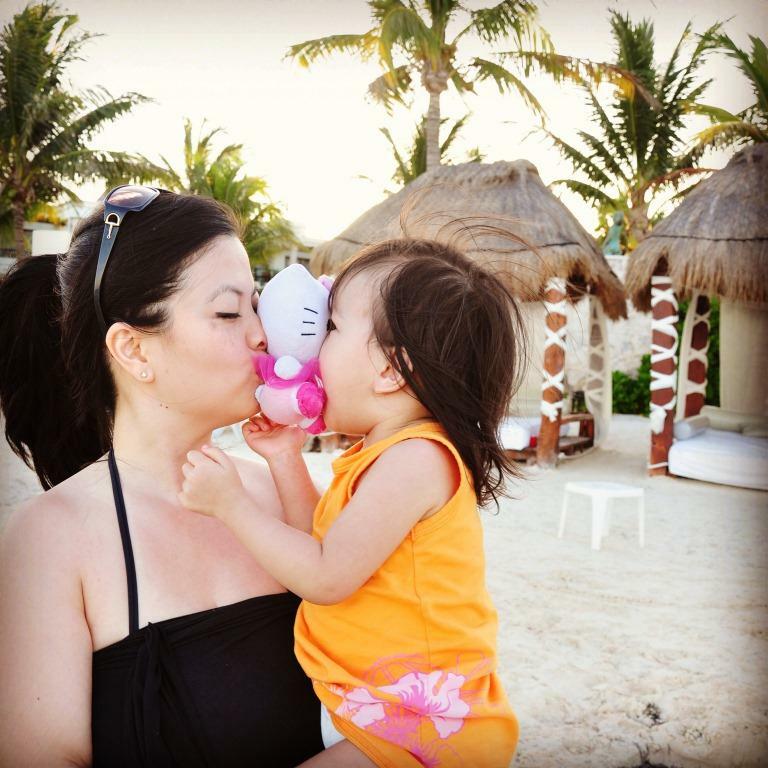 Our beach vacay may be long over now but we have lasting memories of our little paradise in Mexico. Can’t wait for our next getaway!